Good sushi and Langley are 2 words that are rarely seen in the same sentence. Sure, there’s decent sushi in Langley but nothing that truly holds up to the presentation and quality you see as you get closer to Vancouver. Noma Sushi, located in a brand spanking new retail strip mall development in Willoughby, aims to change my mind about Langley’s Sushi reputation. My meal started with the obligatory miso soup, nothing really earth shattering here but it’s just miso soup which is pretty much the same everywhere. 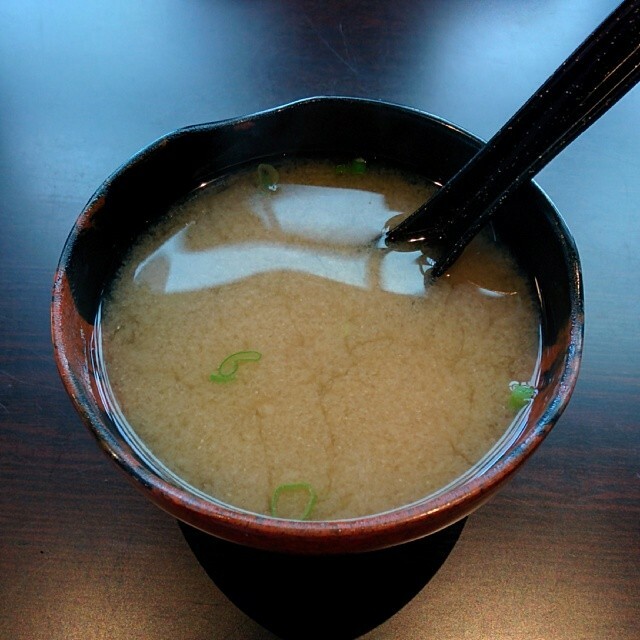 Actually that’s not true, I’ve had some AWFUL miso soup, this one was good. 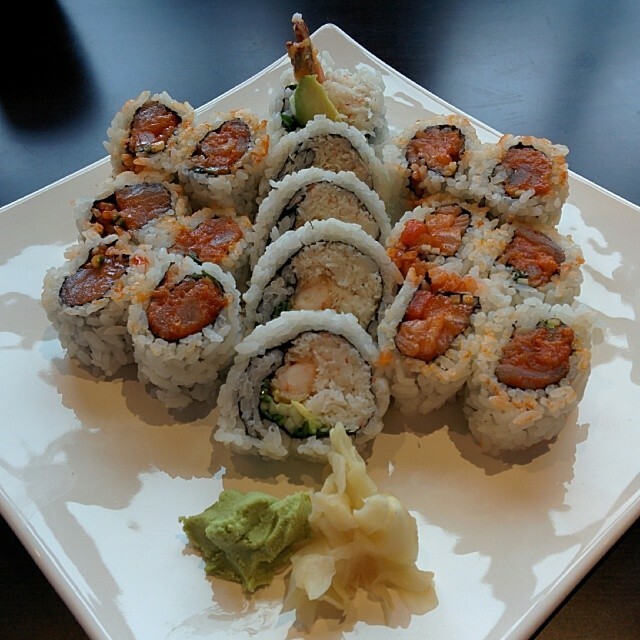 The first thing to arrive was the Spicy Roll Combo, dynamite roll, spicy tuna roll, and spicy salmon roll. The dynamite roll was a pretty standard example but it was rolled very well and didn’t fall apart like a lot of “Fraser Valley” sushi tends to. The spicy tuna and spicy salmon rolls were good with lots of fresh seafood flavour and a little heat from the hot sauce mixed right into the chopped fish. They weren’t the best spicy rolls I’ve had, those come from Mega Sushi in Steveston, and these could’ve done with a little more flare in the presentation and ingredient area. Overall though they were good. 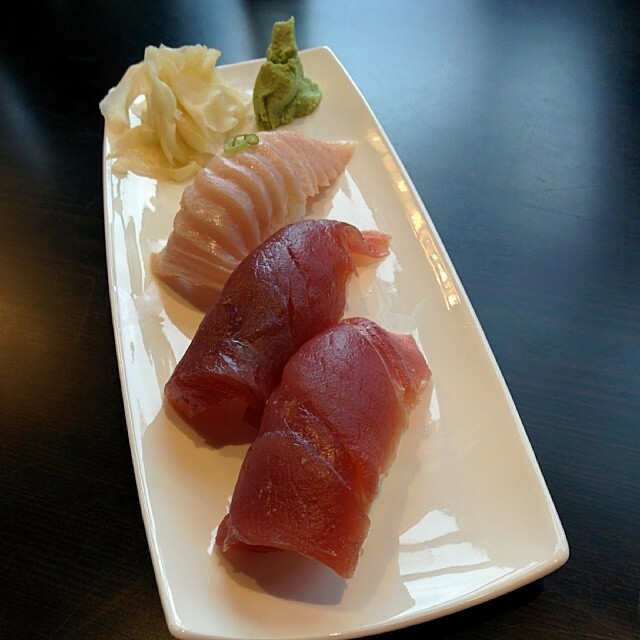 Next up was 3 pieces of Nigiri, 2 red tuna (probably Maguro) and 1 toro. The toro was unbelievably fresh and the fatty texture was amazing. It was fairly pale in colour but wow, so good. The tuna was equally impressive. Super fresh and so tasty. I almost wish I had skipped the Spicy Roll Combo and ordered more Nigiri, almost. I usually try a special roll when I visit a sushi place for the first time and Noma has a lot to choose from. 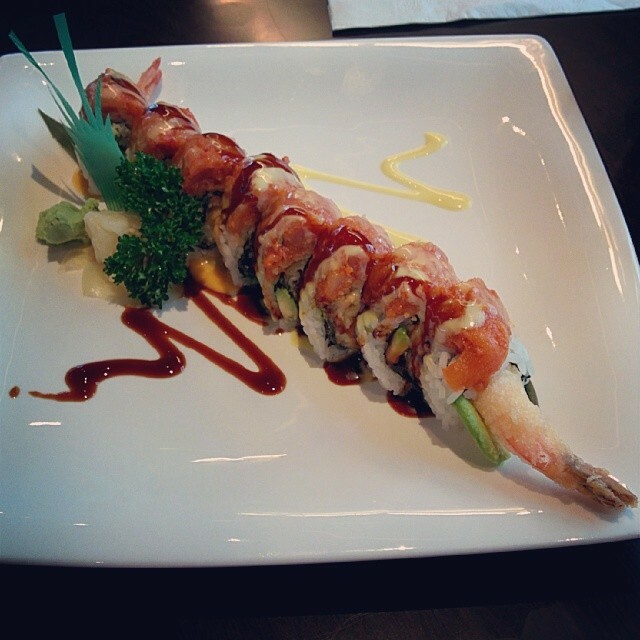 The Red Dragon Roll is prawn, crab meat, avocado, cucumber, and BBQ eel with spicy tuna on top. Beautiful presentation, great flavours, well rolled. As far as special rolls go this one could hold its own in any sushi place in Vancouver. Thanks to Sheldon for taking me out to see what’s good in Langley!